German automakers Audi, BMW and Daimler are in talks with Amazon and Microsoft over the possibility of them taking minority stakes in the Here digital mapping service, the Wall Street Journal reported Wednesday, quoting a senior Daimler executive. 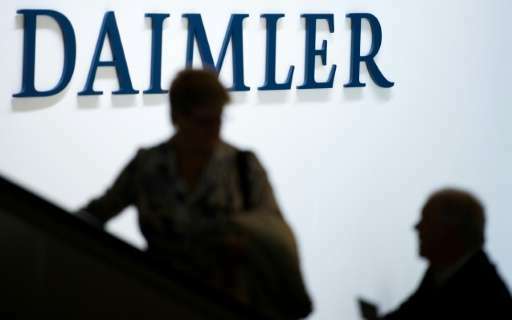 "We are talking to Amazon, Microsoft and many auto makers," the Wall Street Journal quoted Thomas Weber, who is charge of research and development at Daimler, as saying in an interview. "We need a cloud provider to handle the huge amounts of data created by Here and its users. We haven't taken any decisions yet." Audi, the luxury arm of Volkswagen, BMW and Daimler acquired Berlin-based Here from Nokia for €2.5 billion ($2.8 billion) last year as part of a plan to build a platform for self-driving cars connected to the Internet. Soon after acquiring the company, the car makers began approaching tech firms and other auto makers about joining the venture as strategic investors, the newspaper reported. Here is developing a high-definition, real-time map that could be deployed in self-driving cars. It is more than a conventional route-finding or navigation service, but a high-definition, 3-D digital representation of roads, highways and their surroundings that is constantly updated as cars connected to the service upload data about traffic, weather and road conditions to the cloud in real time. That information then becomes available in real time for other drivers.